Rita Spiegel Photography: Are you ready Freddy? "People of earth, your infant oppressor has arrived!" This was one of the first fun comments that my Nephew-in law Jason Toettcher said when he posted the birth of Frederick Howard Toettcher on Facebook. 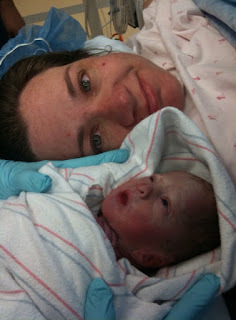 Born on March 10, 2010 at 6:18 pm. Freddy weighed in at 3 lb. 12 oz. My niece, Francine and mommy of Freddy, called home around 3:00 pm to ask "what's happening"? to her mother, Diane. The answer "not much ... what's up with you"? Francine's response ... "my water broke". Within in an hour they headed to the hopspital and by 5:30, we were driving to St. Jude's Hospital in Fullerton. 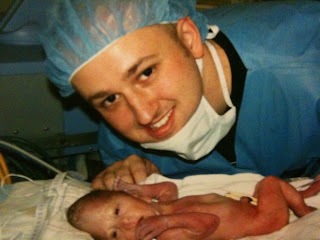 Freddy was born 7 weeks premature. He scored "high" on the evaluation tests that Doctors gave him. In the coming weeks, they'll be more tests coming his way, but Freddy's a fighter and making his mark on the world. Mom, dad, grandparents, uncles, aunts and the entire family ... and friends are happy and looking forward to spending time with Freddy and the entire Toettcher Clan!